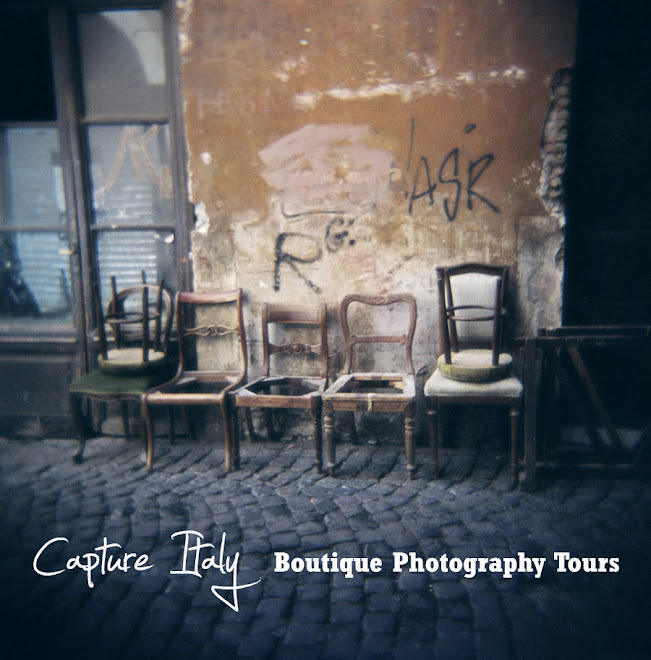 Capture Italy: What story do you want to tell with your photos? What story do you want to tell with your photos? 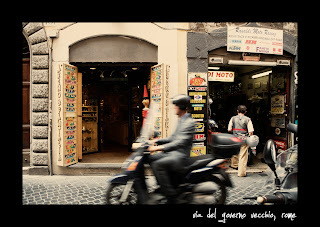 On this day our "world" was Via del Governo Vecchio in Rome, an eclectic street just off Piazza Navona. It's one of our favourite streets for photography in Rome. We always shoot in this street on our tours. Its diversity offers photographers of all levels of experience an opportunity to tell a story. At the end of the day, when we review our images, it never ceases to amaze me how many different stories come out of the one street! When you are traveling it's important to ask yourself each time you bring your eye to the viewfinder - what picture am I selecting, what story am I wanting to tell? Most of us shoot what we like... it's an emotional choice. Good photographers add to that by actively choosing and making decisions about their images - they decide where to stand (sit, squat or lie) to take their images; they decide what to include in the frame (is the photograph a fragment of the larger world, or a world unto itself); they decide the duration of exposure (will time be frozen, blurred, still); they decide what to focus their lens on; they decide when to press the shutter (the decisive moment). On top of all of this, each and every photographer brings their own unique combination of life experiences to their images. 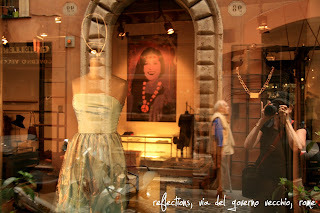 Dissecting my image above - I wanted to tell the story of everyday Rome - the Rome beyond its amazing monuments... the Rome I became a part of when I lived here. My life experience. This shot tells the story I want to tell. It is a slice of everyday Roman life. Dianne's image below, of the same street a few shops down, captures an entirely different mood and story. As travel photographers, we must know what story we want to tell, what picture we want to select well before we have released the shutter.